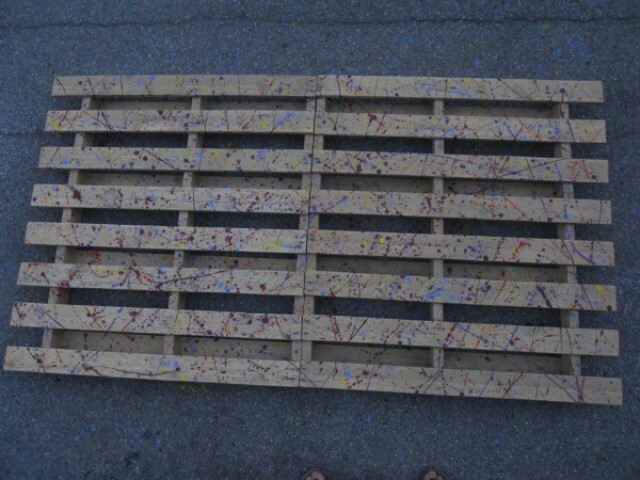 This is going to be one the most interesting pallet project that you have come across. The Pallet furniture is very popular almost in all the regions of the world. People like to have pallet furniture in their homes which looks unique and often adds a very traditional look to the surroundings. Today I am sharing precisely sharing about pallets bedroom furniture. 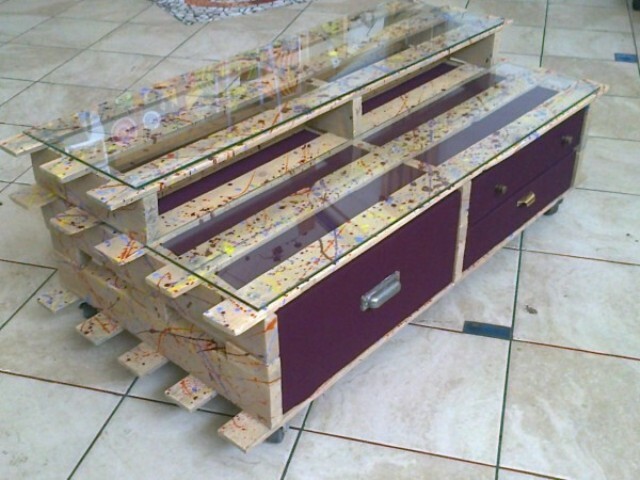 This all furniture is for bedroom which is made from pallet wood which includes TV cabinet, bedside table and headboard. 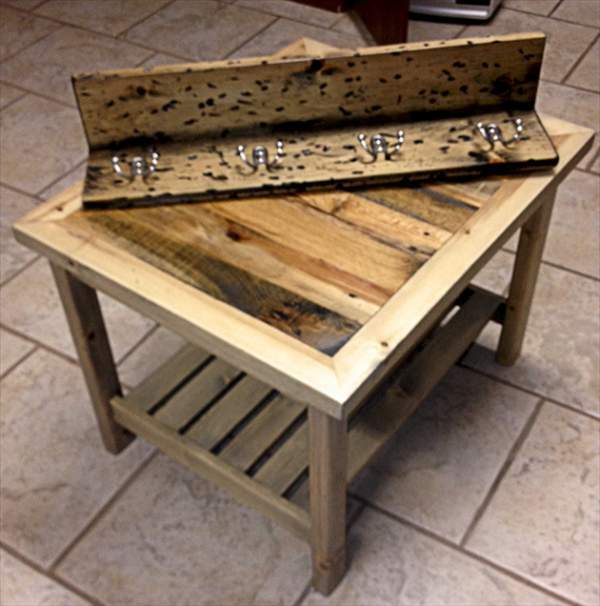 I have attached the pictures of my pallet furniture. It looks such a great work just like new. The finishing look is being given by splashes of color and the chest is being covered with fabric. The top surface is being covered with the glass to make it like a fresh piece. The headboard is also made colorful using splashes of color. You can use this pallet furniture in your room which will certainly give a perfect look.